A recent history of cross platform play - Pioneer Project - Enjoying video games a little differently. The latest version of a western Monster Hunter Game was announced recently to almost universal excitement. Monster Hunter fans have been waiting for a new game to get excited about for the best part of two years. One of the concepts for Monster Hunter 3 Ultimate that’s getting people most excited though is the cross-compatiblity between the Wii U and 3DS versions of the game. While this isn’t a new premise, it’s something we’re seeing more and more of for multiplayer led games. Two other games in the last two years have announced similar handheld gaming support for the console or PC based game. Tellingly the first to do this was Monster Hunter 3 Ultimate’s predecessor Monster Hunter Portable 3rd. It did so for many of the same reasons. 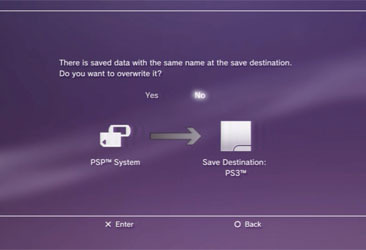 To enable simple multiplayer access through the PS3 version of the game and to provide an HD mode to make the original game look and sound better. For many it’s become the de-facto way to experience that game. While I love Monster Hunter I’m finding it harder to play it single player for long stretches with a handheld. Compatibility between a console and handheld version of the game allows you to experience the best of both worlds. Relaxing with the game at home for the bulk of your journey, and moving the savefile for your handheld version to so you can play the game on the go or experience local multiplayer easily. 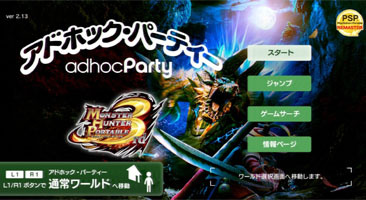 While Monster Hunter Portable 3rd (and it’s HD equivalent) didn’t start this idea it provides gamers lucky enough to experience it, with probably the most seamless and easy-to-use online multiplayer experiences since in a Monster Hunter game so far. Crucially it may give some clues for how Monster Hunter 3 Ultimate’s implementation may work too. Sega announced that Phantasy Star Online 2 would have cross platform support between the PC and Vita versions. Phantasy Star Online is in many ways the predecessor to Monster Hunter, highlighting an audience of gamers that enjoy a real-time RPG multiplayer experience with cooperation at its core. This is evidenced by the fact that many PSO players took up Monster Hunter as a replacement to PSO and the concepts it pioneered. PSO later found its stride again through it’s portable versions. However by then Monster Hunter had already exceeded it on handhelds through its strong emphasis on local, cooperative gaming. In essence Monster Hunter took up the mantle that PSO started. In a compelling chapter in the great multiplayer RPG story, it was the Phantasy Star Online series that announced cross-platform play for the masses through its Vita version of PSO 2, despite Monster Hunter implementing it first with Monster Hunter Portable 3rd. It’s not too surprising that these two series are promoting a similar idea, since they share many of the same audiences. What is interesting is that both developers are using cross platform play as a marketing tool – another reason to buy a 3DS or Vita to support play on the go. This is beneficial to the developer as it also promotes the old mantra of console loyalty. Because surprisingly, despite a rich history of cross-platform play, historically the idea hasn’t done very well outside of Japan, or is largely associated with niche or unsuccessful titles. 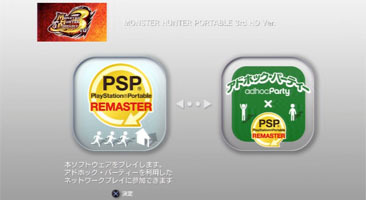 Monster Hunter 3 Ultimate isn’t the first cross-platform implementation that Nintendo have supported. They tried their own version of it using the Gamecube and Gameboy Advance. This ranged from the odd game (such as Metroid Prime or Animal Crossing) having areas of the game that couldn’t be accessed without a GBA being connected to the Gamecube as another controller, it was also used successfully for map treatments and the display of secret information in games like Wind Waker. The most extensive support for this system was saved for Zelda: Four Swords Adventures and Final Fantasy: Crystal Chronicles, where four player multiplayer for these games required each player to have a Gameboy advance plugged into the Gamecube using a special connector. The GBA then served as the controller for the game, showing the players inventory, map or gameplay screens related to them on their own personal screen. It was a neat way to sidestep the issues of local multiplayer RPGs, that often require a lot of information to be shown on one screen, or the other problem of two or more players being tied to the time it takes for another player to organise their equipment. It was a rare and interesting way to experience these two titles for those that not only had the money and equipment to support this premise, but also the time and investment needed to encourage other friends to experience the game with them. For many though the barriers to entry were too high, and many people didn’t get to play these Gamecube titles as intended, and the technology itself became not much more than an old gaming curio. This wasn’t the first foray into these sorts of console and handheld connectivity though. Famously both Sony and Sega dabbled with the idea of a memory card (or other peripheral) serving as a mini-game station that was related to the game you were playing. Many Dreamcast games supported this feature through the VMU, better implementations of this include on the original Sonic Adventure game which allowed you to manage and train your Chao outside of the game, then update your game data with the progress made by booting up the game again. Tellingly Sony’s Pocketstation for the original Playstation used a similar idea much earlier on, but never made it outside of Japan. So cross play has a long, and interesting history. 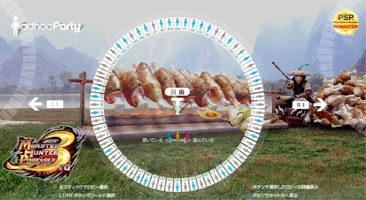 Despite that the examples of its usages are rare, the various implementations were great to experience for those lucky enough to play the games during their limited life cycle. Recently cross play has had a bit of a revolution. It was briefly left to games like Shadowrun and Final Fantasy: Crystal Chronicles: Echoes of Time to continue the idea. However Portal 2 has also famously used this model with more notable success, allowing PC and PS3 gamers to play cooperatively with their friends through Steam access. So Monster Hunter 3 Ultimate will be the most ambitious chapter in the cross compatible platform legacy. Many Monster Hunters look forward to seeing not only this implementation, but how it may determine the cross play future of this series and others.